1. Vibrancy - Pans, tubes, liquids - I paint with all. Check out Pebeos' Colorex range, I use them for almost everything. 2. Unpredictable - I love to watch colors blend into each other. Sometimes they take their own shape and something absolutely new shows up on paper than what I originally planned. 3. Transparency - I envy those who achieve it! So dreamy and a pleasure to watch. Check out Sophie's work here and you will know what I mean. 4. Effects and methods - Dy on wet, wet on wet, wet on dry - the possibilities are endless. I like to try the salt sprinkle technique and dab with tissue for texture trick. 5. Patience is a virtue. Thanks to the digital medium I completely turn impatient when I draw on paper. Also the inability to instantly 'undo' drives me nuts. Lol! But I have learnt a great deal on how to wait (for the paint to dry) before I add another layer. 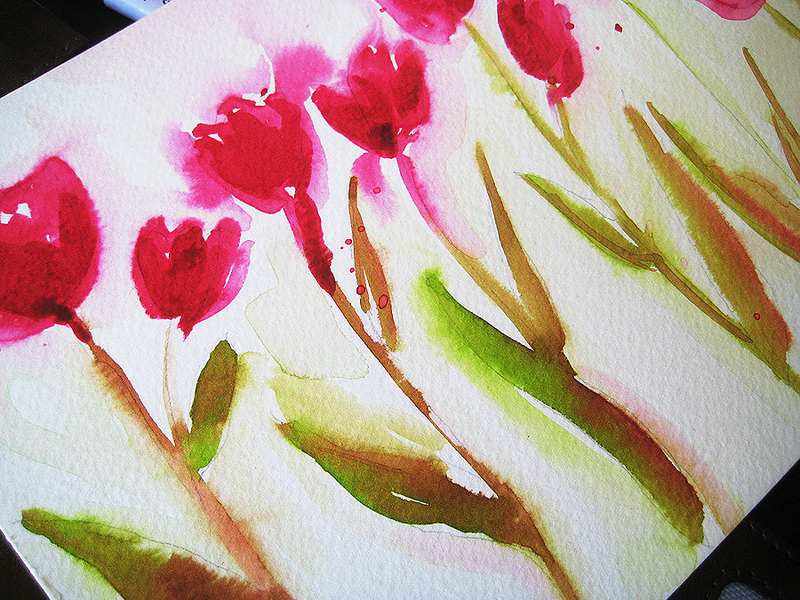 I therefore sit with a large mug of coffee when I do watercolors. 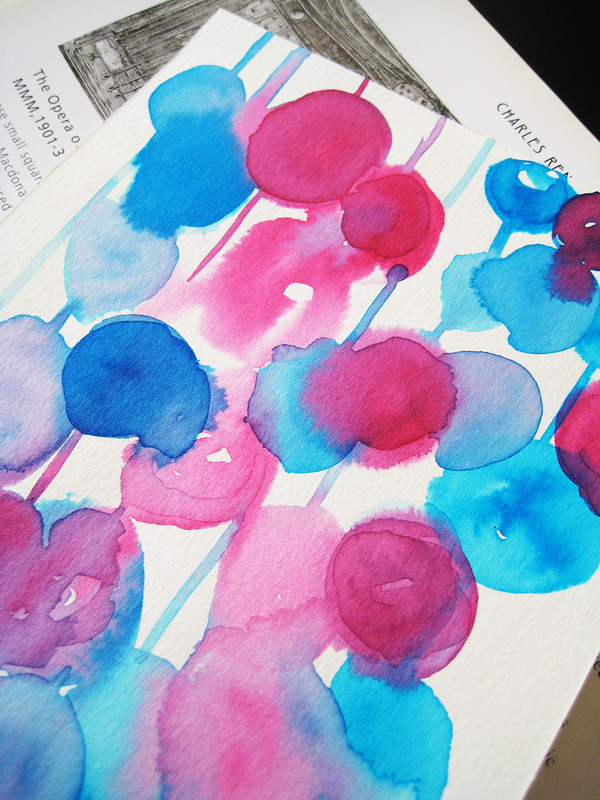 Do you love watercolors too? Share your experience with me here, I'd love to know and learn from you.